One of the most interesting things about this company is that they are not just lawn treatment specialists, they’re a lawn care training provider, offering people the opportunity to start their own lawn care business with some specialist training and even a franchise opportunity. They provide all the skills tuition required and students who then take up the opportunity to become a franchisee are provided with everything they need to get started and become a successful business in their own right; kind of like training with a guaranteed job at the end of it! The company had a confusing website at the time they approached us, and even we could not figure out what they offered in terms of services, without further explanation from them. So, they wanted to create a website that was clear, easy to use, and a little more interesting than what they previously had.. not hard to do believe me! They wanted to make it easy for a new client to get in touch and request a survey, so they asked us for a complete redesign. With the ultimate aim to drive more enquiries to the business, we created a responsive brochure-style website, with easy-to-use navigation and enquiry forms, with a professional and eye-catching design. The new website gives potential customers and business partners all the information they need in an easy to digest structure, and is, of course, user-friendly across any device. We are delighted to announce that the new Lawn & Weed Expert site is now live! If you think that your business could benefit from a bespoke, professional website, please get in touch with us for a free, no-obligation web design quote. Taylor Total Weed Control offers a professional weed control service to the South Wales area, and they are renowned for their safe and cost-effective weed treatments. Their specialist team have over 15 years of experience in eradicating stubborn weeds, maintaining grounds, and controlling moss growth. They specialise in removing Japanese knotweed, an invasive, fast-growing plant that can be incredibly difficult to get rid of. 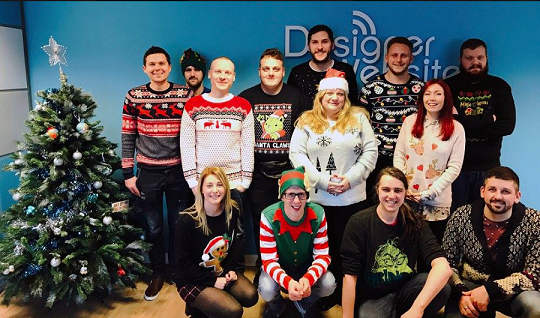 They came to us with the requirement of completely redesigning their current site, which was confusing and didn’t truly represent their services. It was important to them that the new website would concisely explain their services to new and existing clients, which sounds obvious but was a significant issue with the old site. Importantly, the new site would be the only enquiry generation for the company and so they wanted to ensure CTA’s were obvious, services provided clearly understood, and enquiries easily made by potential customers. We totally scraped their old website, including imagery and text, and created a simple responsive brochure website, to showcase their various weed control services. We developed user-friendly enquiry forms so that clients could easily arrange a free survey of their property. We integrated a blog to allow them to write about industry-specific topics. If you are in need of a little weed control yourself then we would totally recommend checking out Taylor Total Weed Control. Does your business require a professional-looking bespoke website? If so, get in contact with our team and we will provide you with a free, no-obligation web design quote. Unless you own a website or you have a keen interest in online marketing, you may not have heard about Google Ads before. This platform plays a huge part in the world of online advertising, but many Google users may not know what exactly it is or what it does. To help you better understand, we have put together the following simple guide to understanding Google Ads. First things first, a brief introduction. Google Ads is an online advertising platform developed by Google, which allows businesses to advertise on the search engines' results pages. For example, as you'll see from the image below we have searched for ‘women’s clothes’. Now, the first 4 text results (marked with a green 'Ad' label) are Google Ads Text Ads; which are followed by normal non-paid 'organic' results, which in turn is followed by 3 more Text Ads (bottom of the page). On the right-hand side, you can also see Google 'Shopping Ads', which are a different style of paid-for adverts within Google Ads. 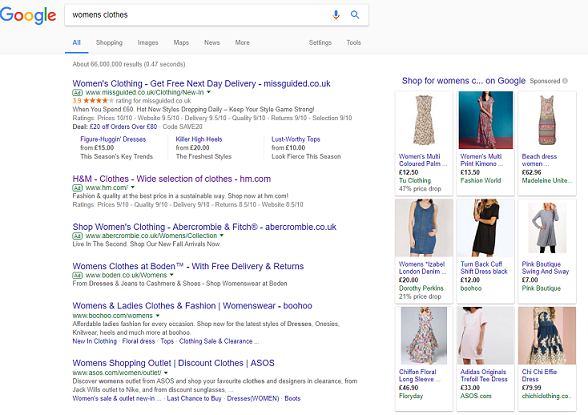 All of these businesses are employing Google Ads to show their adverts whenever someone searches for the phrase ‘women’s clothes’. Unlike offline advertising methods, you only have to pay for your Google Ad if it gets clicked, making Google Ads one of the best advertising platforms on the planet in terms of ROI. However, managed poorly it will simply bring you lots of irrelevant traffic that will not convert into sales or bookings. Managing Google Ads can be complex, however, the Google Ads tool allows you to organise your adverts into campaigns and groups, which then give you greater control and organisation of your adverts. In simple terms, you choose the keywords that work for your business and allocate a maximum click cost, which is essentially how much you are willing to pay Google for a person to click your advert. You organise your keywords into appropriate groups and campaigns and then set a budget on what is the maximum you want to spend on each campaign. When your budget runs out, the adverts stop showing. So, the higher the budget you set, the longer your adverts will be displayed, and therefore the more clicks you can achieve. There are many complexities to running successful Google Ads campaigns and the depth of this complexity will depend upon your business, i.e. how many products and services you offer, whether your competitors also run Google Ads campaigns, how popular your keywords are, etc. Though this may seem simple (pay for an ad = get shown on Google), it's really not that easy! As you can imagine, there are millions of clothing shops across the world. All of these clothing companies, if they’re marketing savvy, will be aiming to have a Google Ad on top of the SERPs. So, with so much competition, Google employs a bidding system to decide who gets those top spots, for how much time, and at what cost. You can envisage the Google Ads bidding structure as a straight-up auction; whoever is willing to pay the most per click, wins! Google is the auctioneer, the product is the top spot on Google for say "women’s clothes", and the auction hall is full of eager clothing businesses across the nation, or even the world.. how much are you willing to pay for a click? As I alluded to, this auction is not that straight forward. You can also win by providing high quality and highly relevant adverts, which land on highly relevant pages within a highly user-friendly website, all scoring points with Google and meaning that you may pay less than your competitors for those top spots. Google wants advertisers to see a relevant advert to what the user searched. For example, I search "women's dresses" so I want to see an advert that suggests something relevant, and then I want to land on a page showing dresses i.e. 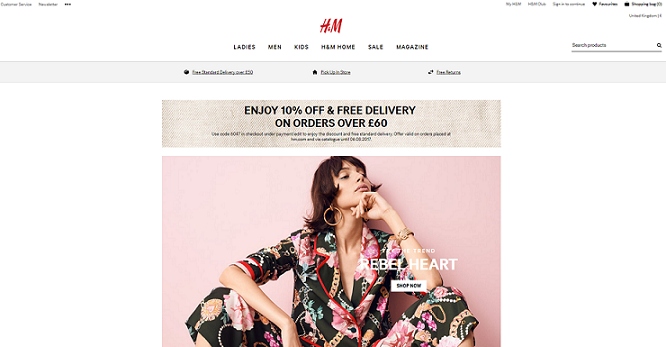 not the home page of a clothing store website... unless it only sells dresses of course. Google rates the relevance of your advertising and they call this their quality score. You need a very high-quality score to keep your click costs competitive. The complexity runs deeper, but for now, we'll leave it there. While this may seem a bit strange, more often than not Google Ads will not take you straight to the homepage of the website. Instead, they take you to something which is known as a 'landing page'. Landing pages are often dedicated pages, but usually, are the product (or service) specific page, that is most relevant to the term you searched e.g. "Women's Clothing". As you can see, there is a distinct difference between the two. 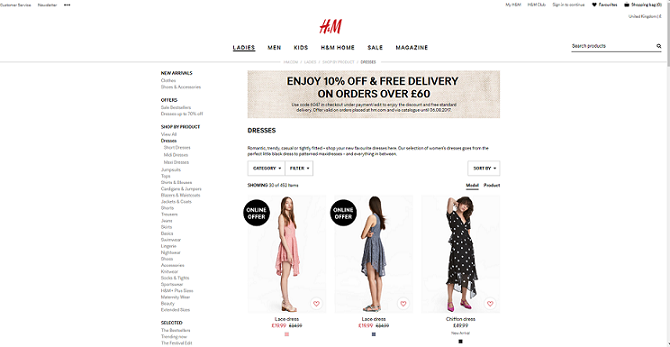 H&M’s homepage includes everything the website stocks, whereas the women's dresses section on the site is used as the "landing page" for the adverts for this search term; directing searchers who hit their adverts to the exact products that they were searching for. Though Google Ads can indeed play a big part in increasing traffic to your website and conversions, it has no direct link to the organic (non-paid listings in Google) search results pages. Even if you are running hundreds of Ads and spending millions of pounds, it will not increase your organic ranking. Google Ads can be a fantastic tool for driving instant traffic to your website but consider the difference between extra traffic and extra customers/buyers. There is a significant difference between the two. Making Google Ads work for your business requires intimate knowledge of the advertising platform itself, along with knowledge of your business and its competitors. You can run Google Ads yourself, however, if you want to maximise the ROI our experts are here to help. Click below to learn about our PPC services! Over a year ago, Google announced via their Webmaster Central Blog that the new version of Search Console (originally made available to a limited set of users in August 2017) was going to be released to all site owners who use the tool. The big roll-out took a few weeks, but the majority of users are now able to access the redesigned Search Console interface. Search Console (previously known as Google Webmaster Tools) in an indispensable tool for website owners, and so we'd like to take a moment to walk you through the updated version and explain how it can be used. The new Search Console is still being built, and certain reports have not yet been migrated into the new version, but what is there is well worth exploring if you're serious about looking after your website's health. How do I view the new Search Console? Go to www.google.com/webmasters and click the big green 'SEARCH CONSOLE' button. Sign into your Google account to continue. Once you're on the Search Console home screen, select the property (website) you'd like to manage. Go to your Messages (under 'Dashboard' in the menu). Click the 'Open the new Search Console' button in the body of the message. I'm in! So what's new? The first thing you'll notice upon accessing your new and improved Search Console is the sleek new design. The 'Performance' report is more or less identical to the 'Search Traffic' report in Search Console Classic. The interface is a little different, and interestingly, there appears to be some disparity between the data in the 'Performance' and 'Search Traffic' reports, but it's still essentially the same tool. Use it to see which queries drive clicks/impressions for your website. The 'URL Inspection' tool offers website owners detailed crawl, index and serving information about web pages, directly from the Google index. Here you can view the last crawl date, the status of the last crawl, any indexing or crawling errors and the canonical URL for a page. It will provide information on successfully indexed pages, any AMP and structured data errors as well as any indexing issues. The URL Inspection tool also allows users to run live tests against a live URL. Details are not provided on the last time Google indexed that URL but on what Google sees on that URL in real time. Of all the features that the new Search Console brings to the table, its 'Index coverage' report is unquestionably the most exciting. One of the most frustrating things about using the old Search Console was spotting that Google hadn't indexed some of your pages...but having no way to find out which pages the algorithm had passed over. Error - Pages that HAVEN'T been indexed because of some kind of error (e.g. server error). Valid with warnings - Pages that HAVE been indexed, but with some issues that you may want to inspect. Valid - Pages that HAVE been indexed successfully. Excluded - Pages that HAVEN'T been indexed, usually (though not always) intentionally. For instance, a page with the 'noindex' tag or a canonical tag that points to an alternate URL will show up in this section of the report. This report makes it easier than ever before to see which of your pages aren't getting indexed, and to establish what you need to do about it. 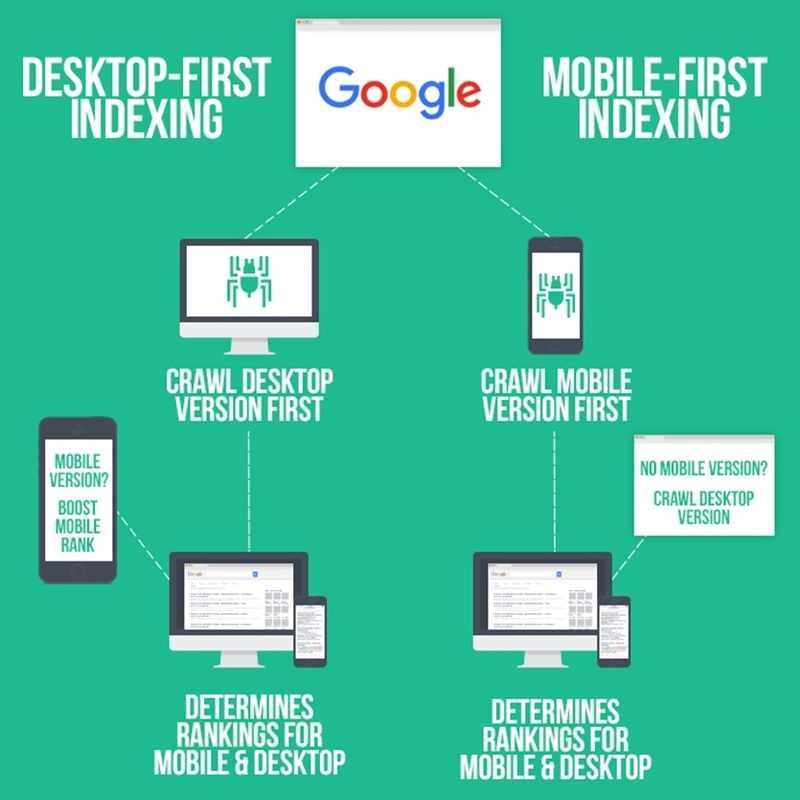 This report now uses mobile-first indexing data when available, instead of using desktop indexing data for sites that have already switched to mobile-first. This only impacts the data related to the 'error counts' and 'new issues' in the report. Again, this is just a nicer-looking version of a tool that we've been using for years (find it in the old Search Console under Crawl > Sitemaps). You can submit sitemaps and check the status of all submitted sitemaps here; handily, you can also click through to an 'Index coverage' report for each sitemap you've submitted. The Mobile Usability report is an important tool for all site owners as it provides critical information to help fix mobile usability issues. With Google using mobile usability as a factor in their ranking algorithms, it is important for site owners to keep a close eye on this report to ensure that issues are fixed when they appear. Issue names are the same as in the old report, but users are now able to submit a validation and reindexing request when an issue is fixed. If your website includes any AMP content, this report is worth keeping an eye on as it will inform you of any errors on your accelerated mobile pages. This isn't anything new, though - the old version of Search Console includes a very similar report under Search Appearance > Accelerated Mobile Pages. The Products section of the new Google Search Console helps users to see how well their product markup is performing in Google's search results. This is an important feature, especially for e-commerce sites in managing their product markup. This report allows e-commerce site owners to quickly see what issues they have with markup and fix them. In order to be able to see this report, site owners will need to add product markup to their products to show up in GSC. This can be used on a product page to describe a single product or on a shopping aggregator page that displays a single product. 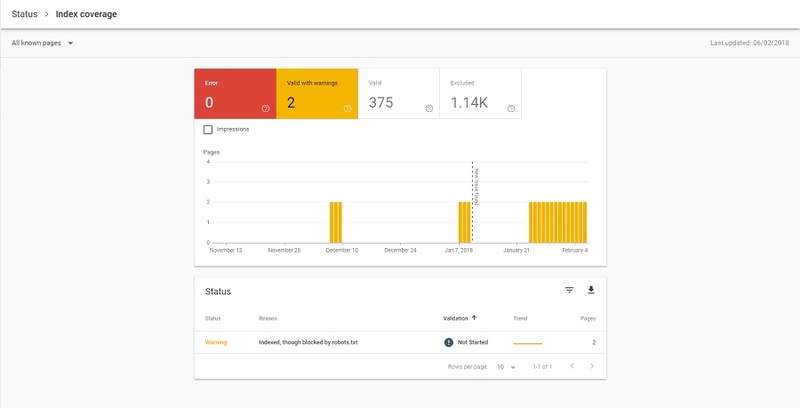 The Manual Actions section of the new Search Console is the same reporting tool that you've been using in the old console with a fresh, new look. Manual actions are issued by Google against a site when a reviewer from Google has determined that pages on the site are not compliant with Google's webmaster quality guidelines. Therefore, it is an important section that needs to be regularly checked. The Security Issues section of GSC will let site owners know if Google finds any security issues with the site, pretty self-explanatory. The types of issues can include hacked URL's, deceptive pages, malware, harmful downloads and more. This feature was available in the old the Search Console so users should be familiar with it and the information provided. For a full breakdown on the details on the security issues monitored, click here. The Links section of the new Search Console consolidates the functionality of the 'Links to your site' and 'Internal Links' reports found in the old Search Console. This updated link report, according to Google, is "more accurate" than the old Links to your site report. For a more detailed analysis of the data, you can get in the links report, click here. And that's just about it - for now, anyway. 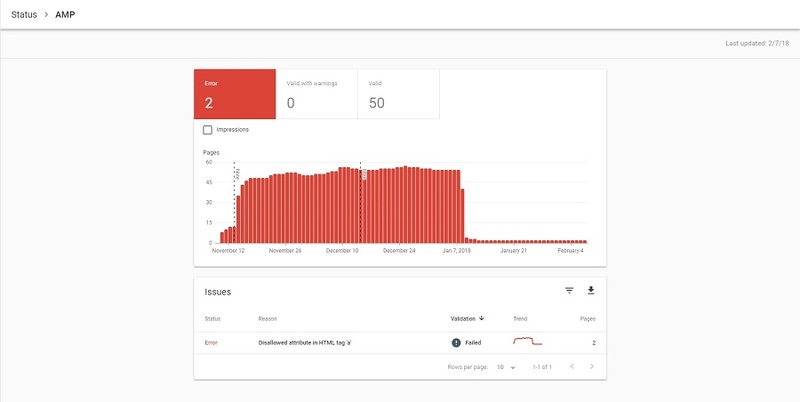 Google is still building the new Search Console, so keep your eyes peeled for additional reports as 2019 progresses. Do you need an expert to look after your website and make sure it's running at peak performance? Contact Designer Websites today by clicking below - our website optimisation specialists will help you to achieve online success! Sidan Property Group, founded in 2015, are a privately-owned family property fund with a fantastic track record for evaluating, reviewing and finalising property transactions in a seamless and competent manner. Since they were established, they have quickly built a portfolio of corporate real estate across the UK including retail units, listed buildings, public houses and multi-storey properties that have been used for a variety of purposes. Sidan required a website that both reflected their image and could be easily navigated by their potential property buyers. The company got in touch with Designer Websites and asked us to design and build an easy-to-use brochure website that represented the professionalism that they as a company wanted to showcase. One of the key elements of the website that we created for Sidan was the ability to download relevant information such as a property’s location, brochure and floor plan. We created a fully functional content management system that allows company members to easily add, remove and change properties within their property portfolio. The website is also fully responsive, with potential buyers able to browse and navigate through the website on all desktops, tablets and mobile phones. We are proud to announce that the brand new Sidan website is now live and can be visited here - https://www.sidangroup.co.uk/. If you’re interested in for a bespoke, professional-looking website for your business, please get in touch with the team here at Designer Websites below for a free, no-obligation web design quote. Creating high-quality video content can hugely improve your audience engagement, boost your Google ranking and increase sales. In this blog, we discuss why incorporating video into your website is important if you want to appeal to a modern market and compete with other brands online. But one thing online shopping doesn’t allow consumers to do is see the product in real life. That’s why videos are an invaluable tool for digital marketers and something that customers expect to see when they shop online. When people intend to buy something, particularly something of high value, they want to know that it’s exactly what they're looking for before parting with their money. Research shows that after watching a video about a certain product, people were much more likely to buy it than if they hadn’t watched a video. Why is that? This is a video that we created for one of our clients, Sweets in the City, to advertise their Letterbox Treats product. So, why is this video effective? After watching this video, the potential customer has everything they need to make an informed decision about their purchase. Another great way that video can be utilised in digital marketing is in explaining and providing information in a visual way that sometimes words and text cannot convey in an engaging manner. In the video below, we provide information on 'composite decking vs plastic decking' for UK composite decking supplier TimberTechUK. Here you can see a comparison of the two types of decking board with important information spoken in a voiceover. Providing a combination of both visual and audio elements that make what would be standard text information, a lot more interesting to take in and understand. While creating videos to advertise products can greatly increase sales, this is not the only way that video can improve your business. Search engines like Google consider videos to be ‘high-quality content’. Used correctly, videos can dramatically boost your rankings. When bots crawl your site and come across this ‘high-quality’ content, you can expect that your site will receive a ranking boost, moving you closer to that all important #1 position. Some examples of videos that add lots of value to your site include interviews with experts, reviews or gifs - to name a few. 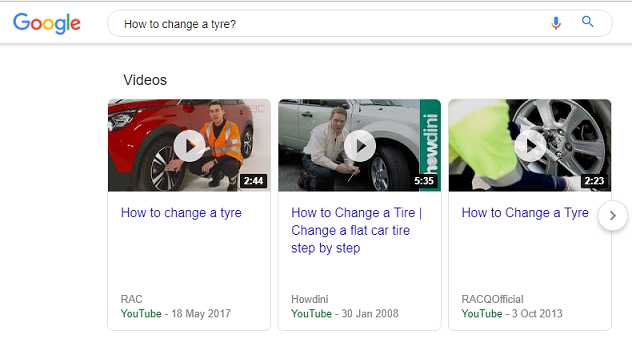 Google often shows a selection of video results (a video pack) close to the top of page one in response to a particular search term or query. That’s because Google wants to give its users the best possible experience, and some users will find a video response most useful. In recent years we have seen a huge increase in the number of social media platforms such as Facebook and Instagram, incorporating new and interesting ways to share video content. Learning how to harness the potential of features such as; Live videos, stories and Instagram TV etc. will be key to long-lasting customer engagement in the future. Sharing entertaining video content on social media platforms can also broaden your customer outreach exponentially. We’ve all seen a funny or interesting video online and tagged our friends or shared it with our own followers. Think about how this same principle can be applied to your digital marketing efforts - create original, eye-catching and entertaining content with your product, service or brand at the centre. If it isn’t already apparent, incorporating video into your digital marketing efforts is very important if you want to remain successful in the current climate. At Designer Websites, we offer a number of services that will help you bring your brand to life including, videography, drone footage, 360ۤ° video and street view. Click the buttons below to have a look at these services in more detail, or give us a call on 01446 339050 and we'll be happy to discuss your ideas & give you a quote - free of charge! NOA Healthcare is a staffing agency that specialises in the supply of healthcare professionals to organisations in the healthcare industry, e.g. nurses, doctors, locums, support staff, etc. Operating a unique and advance automated booking system they deliver highly responsive staffing resources to clinics, hospitals and care homes. NOA required a fresh new website that would better reflect their business online, and give them greater awareness in the search engines. We created a brand new fully responsive website that is user and search engine friendly – ensuring a consistent experience on all devices. Our SEO team optimised the content of the site to help improve their Google ranking. The new and improved NOA website clearly and concisely informs potential clients in the healthcare industries about the advantages of working with NOA for quickly and easily fulfilling their staffing resources requirements. The site further explains their employment of the JMS One solution which makes booking staffing resources simple and quick. If you’d like to enquire about having a great site created for your business then get in touch and tell us more about your project, we’d love to hear from you. Our contact details can be found here. Access Training Academies is a training course provider offering a wide variety of courses, across a number of disciplines and industry sectors. They have several specialist training centres in numerous locations across the UK, including Cardiff, Bristol and Kent. Using state-of-the-art facilities, they offer intense, fast-track training courses such as Plumbing, Carpentry and IT to beginners and experienced people alike, usually those looking for a change in career, or want to add further qualifications to an already established skill set. We’ve worked with Access Training for almost a decade now, delivering a couple of redesigns to their website over the years. Historically they’ve always been a ‘trades’ training provider, offering a wide range of courses to the building and trade sectors, but more recently they have branched out in terms of the training courses they offer. So, the new challenge for us was to bring the site in line with the new broader offering from the company, allowing scope for further growth and changes. As well as a fresh new design and a more scalable solution, we wanted to deliver a website with improved usability and search engine performance, so we started from scratch and re-wrote the entire site, including all of the latest coding structures and integrations to improve both usability and optimisation. We integrated the solution with their bespoke CRM (also developed by us) and their sales tool Infusionsoft. We also included a bespoke enquiry and customer tracking solution, a custom landing pages solution, management reports and much more. All-in-all, this is a very comprehensive and highly functional website solution, which not only helps the company to promote their services online but also provides incredibly granular tracking in order to see precisely where enquiries come from and how well advertising campaigns are performing. Oh, and it’s also pretty great in terms of customer usability too, with much-improved responsive user experience and design – which you can view for yourself right here. If your current website is looking a little dated and requires a fresh new look, why not get in touch with us here at Designer Websites? Click below to get started! Greensquares came to us because they wanted to replace their old, outdated website with something modern, attractive and mobile friendly. We’ve created a responsive, user-friendly brochure site that beautifully showcases the high-quality brands and services that Greensquares offer. View it here. If your current website is looking a little dated and in need of an update, why not get in touch with us here at Designer Websites? 'Not Secure' Warning in Google Chrome: Have You Switched to HTTPS Yet? This scary red 'not secure' warning now appears in the Chrome address bar whenever you type something in on a non-HTTPS web page. If your own web address still begins with HTTP rather than HTTPS, Chrome users will see the warning whenever they enter any information on your site. It doesn't matter whether they're entering their credit card number, searching for a product, or just commenting on your latest blog post - as soon as they start typing, Chrome will display that little red warning triangle and inform them that your website is not secure. Obviously, this may put people off using your website, particularly if you're asking them to enter sensitive and/or personal information like their name, location, telephone number, email address, card details, etc. Chrome already showed a 'not secure' warning on non-HTTPS pages that requested sensitive info such as passwords and payment details. This is Chrome's way of letting you know that the information you're inputting will be sent over an unencrypted connection. How can I make sure the 'not secure' warning doesn't appear on my site? If your website address begins with http:// rather than https:// then Chrome will show your users the 'not secure' warning whenever they type something on your website. Under a HTTPS connection, all information is sent securely and encrypted to prevent unauthorised access. The same does not apply to a HTTP connection, which is why Chrome now shows this warning. Online security is a big concern for Internet users nowadays. By switching from HTTP to HTTPS, you will not only be safeguarding yourself from Chrome's 'not secure' warning but also proving a bit of extra reassurance to your users. This will make them more likely to buy from you, or make an enquiry, or do whatever it is you want them to do. There is also some evidence that HTTPS websites rank better in the Google search results. If you're a Designer Websites client and you'd like to switch from HTTP to HTTPS, please email info@designer-websites.co.uk or give us a call on 01446 339050.